Entersoft has been growing impressively, steadily enlarging a prestigious clientele that trust their daily operations and strategic decisions on Entersoft’s innovative products and solutions amplifying their competitiveness. The company is listed in the Alternative Market of the Athens Stock Exchange, owns 4 subsidiaries, Entersoft Bulgaria, Entersoft Romania and the Greek companies Retail Link S.A. and Cardisoft S.A. Exports in Cyprus, Serbia, U.A.E. and Saudi Arabia through certified partners. Entersoft has established a Certified Partner Network that ensures high quality support and implementation capabilities to its customers. Its mission is to provide constantly innovative and effective full range Integrated Enterprise Applications along with high quality services and support to ensure optimized efficiency for its customers. Entersoft is addressed to enterprises that regard their software applications as means to amplify their competitive advantage. Targets companies who wish to enhance their growth and empower their executives with concurrent tools to manage and analyze information effectively and efficiently. Innovative High Tech Products. Entersoft pioneered by being the only Greek ISV that has developed its Integrated Business Application Software products completely on Microsoft® .NET platform. High Quality Services. The company has long experience in implementing projects in medium and large sized business, as well as in small-medium sized businesses. Entersoft’s advanced know-how and optimized use of technology provides enhanced support and high quality services to customers. Personnel Proficiency. 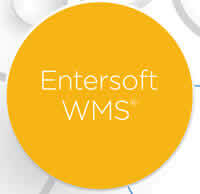 Entersoft’s executives possess deep and long experience in Business Software field and in customer care. It is one of the key success factors of the company, in which it constantly invests and improves.